(November 2004) I just received the latest edition of film guru, Chris Gore’s “The Ultimate Film Festival Survival Guide.” This 3rd edition is filled with more than 1,000 festival listings and a plethora of tips on how to get your film seen, assessed and even considered for distribution. 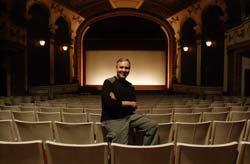 With unofficial estimates placing the number of film festivals worldwide at over 1900, Gore has accomplished no small feat with his publication. What I found most interesting was his positioning of different festivals. The Top 10 speak for themselves. His worldwide selection is logical and precise. How can one question the efficacy of a Toronto or Sundance which spark careers and have multi-million dollar budgets? Then he breaks down the Major Festivals in both North America and overseas. The other festivals are listed as “Best of the Rest,” a sort of B-list purgatory encompassing hundreds of such events. I was reminded of municipal bond ratings and wondered how much ratings will determine the survival of many of these fests. It is surely an overcrowded environment and like the real estate market, it is bound to bottom out. When and how are the questions. The ratings don’t really tell the full story, however. They never do. There are some festivals that by their very nature are secure in longevity and perform a much needed function. Take for example a niche festival whose focus is on a specific topic, region or theme. These events represent a captive audience that revels in the work presented and guarantee a certain baseline for attendance and financial support. There are several festivals in the New England region which come to mind: The Boston Jewish Film Festival, The Boston Gay and Lesbian Film/Video Festival, and the Boston Irish Film Festival. I decided to look at the latter. The 6th Annual Boston Irish Film Festival (BIFF), presented by Magners Irish Cider, took place October 21-25 with a mandate to showcase the best of contemporary Irish and Irish-related film and video. The annual five-day festival always assembles an impressive group of feature films, documentaries, and shorts that celebrate the very best of Ireland and the Irish on screen while exploring a variety of Irish social and political issues. According to Peter Flynn, festival co-curator, the festival exposes audiences to Irish films that they would otherwise not have an opportunity to see. "While the films feature issues pertaining to Ireland and the Irish, the subject matter is universal and will translate well across cultural lines, appealing to all film lovers," notes Flynn. Selected by a distinguished panel of judges, awards are presented recognizing those artists whose work constitutes a commitment to excellence. There are three award categories: Best Feature, Best Documentary and Best Short Fiction/Animation. A Director's Choice Award is also given as well as an Excellence Award for the filmmaker whose work represents the very best of Ireland and the Irish on screen. A trend that seems to be taking hold is spreading the festival screening locations out to as many areas as possible. The Boston Irish Film Festival was no exception with screenings at the Harvard Film Archive, the Brattle Theatre and the Coolidge Corner Theatre. In addition there were receptions at Boston area pubs and hotels. Past BIFF screenings have included the world premieres of Patrick Bergin's Some Other Place and the U.S. premieres of Divorcing Jack, Rat, Traveler (May the Road Rise Up), Wild About Harry, In America and the Boston premiere of Bloody Sunday. 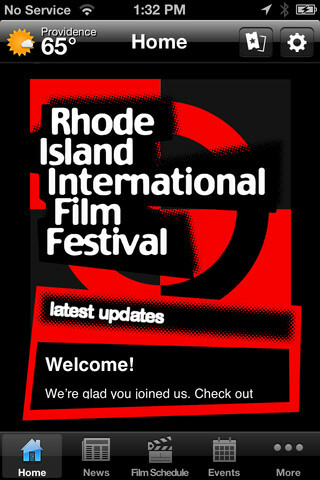 This year was no exception and included News fro the Church by first-time director, Andrew McCarthy (who presented the World Premiere at the Rhode Island International Film Festival in August), Timbuku by Alan Gilsenan, Bloom directed by Sean Walsh and an appearance by noted actor Gabriel Byrne for their Excellence Award. I caught up recently with the Festival’s creator and energetic director, Peter Flynn to discuss his work, goals and prospects for the future. NEED: Could you tell our readers what were the reasons behind starting this festival? Peter Flynn: It seemed like the best way to meet girls. But seriously . . . there was the naturalness of it to begin with. I was Irish. I was involved in the Irish film industry to some extent. I knew people there and I had worked for a time at the Irish Film Archive in Dublin. But I was living in Boston. I was teaching film history and media theory at Emerson College. The festival seemed like a natural way to link both worlds. So there was that. But there was also this need for an outlet for Irish cinema in the United States at that time – the late 1990s. There was a great boom in production in Ireland and a lot of great stuff was coming out. But there were so few outlets and venues for the work here, so again, it just seemed like a natural decision. Also, we were in Boston . . . and where better to have an Irish festival than here. 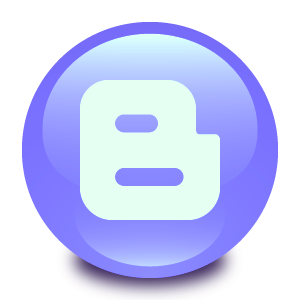 NEED: Since the original concept was to be a one-time event, what spurred the expansion into an annual festival? Peter Flynn: It was simply the success of the first event. We were selling out most of our shows. People were coming out of the woodwork to see what we had programmed. I realized, maybe after the opening night that there was a future for the festival, that it could sustain itself as a yearly event. Its six years later now and we’re running events on a year-round basis and if anything the festival’s popularity has grown. NEED: How many films were screened this year and how were they selected? Peter Flynn: We are screening 37 films this year. [Note: at Press time the Festival was in progress] The selection process is typically long and arduous. . . we get a lot of entries and many good films are turned down because we simply don’t have the program space for all the works submitted. Those that we choose are selected first and foremost on the basis of quality, but we also take into account their importance as documents of particular aspects of Irish culture and society. I like to think that what we screen here are not just good films, or great films, but are also important films in that they capture something real and pure about the culture and the people they depict. NEED: If you were to define it, what would you say is the vision behind the festival and it's long-term goals? Peter Flynn: At this point it’s really to continue what we are doing - getting good and important films that would not otherwise be shown in the US. In terms of expansion, well, we’re offering awards, we have the big-name celebrity guests, we have terrific sponsors such as Magners Irish Cider, great audiences, we are now running screenings and events throughout the year . . . so I’m happy enough with the level we’ve attained. The goal, however, remains the same – make sure that we represent the very best that’s out there. NEED: Let’s talk about programming. What do you look for in developing your schedule of films? Do you have a specific theme? Peter Flynn: The general theme is Irish and the Irish on Screen. That can be as broad and as narrow as you like it to be. But essentially we look for films that reveal something of the Irish culture. In a sense we are programming films that act as a correction to the typical Hollywood representations of the Irish – the happy-go-lucky, loquacious Paddys, the innocent pure Colleens, and the beautiful landscapes, all that stuff – and give audiences a real sense of what it means to be Irish. That’s always the ultimate theme and the purpose of the festival. NEED: As a filmmaker yourself, you seem to have an inside track within the industry. Tell us about your relationship with filmmakers in Ireland and how you have been able to find new work. Peter Flynn: Irish filmmakers take their craft very seriously. Money is hard to come by and so a lot of sacrifices must be made in order to make films. So on the whole, Irish filmmakers are committed, serious about their art, and thrilled at any opportunity to screen it, particularly to audiences outside Ireland. That’s of course where I, and other festivals come in. And I’m from Ireland, I grew up there, I have a lot of contacts in the industry and I spend a lot of time there, meeting with filmmakers, viewing their work, etc. Plus the industry is very small, everybody knows everybody else. So if something good comes a long the word on the street travels very fast and people are very supportive of one another too. So finding the work, and working with the filmmakers to get that work shown is never a problem, in fact it’s my favorite part of what I do. NEED: What are your proudest moments you've had with the festival? Peter Flynn: I think it’s when the filmmakers are interacting with the audiences and they see the results of all their hard labor. Last year, Jim Sheridan saw In America with an audience for the first time ever. And he stood there at the back of the theatre through the whole film watching the audience respond. Something terrific can happen if artists and audiences meet under the right circumstances – i.e., in a relaxed, informal, fun environment – and they really learn from each other. I’m most thrilled and most proud of the festival when that happens. NEED: Outside of the festival, what do you do year round--or has this become year round? Peter Flynn: My day job is teaching film production and media history, which I’ve been doing now for almost 8 years at Emerson College in downtown Boston. I also dabble in production and have a couple of projects in progress at the moment. The problem always is time . . . there’s never enough of it. But I’m happy doing this sort of stuff – its never boring, there’s always lots to learn. NEED: What words of advice would you give to aspiring filmmakers? Peter Flynn: Just do it. Do it by whatever means possible. Make films and make sure people see them. It sounds simple and its not. But it’s the good fight and filmmakers should always be in the ring battling it out. NEED: Where do you see this festival in 5 years and its mission? Peter Flynn: Hopefully just as exciting and as vibrant as it is now. Whether I will be as exciting or as vibrant is another matter. But I would like to see it maintain the quality and purposefulness that it now has. If it grows and expands and becomes unexpectedly lucrative financially then great, but I’d just be happy to maintain this. In early December, I have been invited to be a guest presenter at the first ever INTERNATIONAL FILM FESTIVAL SUMMIT, IFFS in New York City. The event is dedicated to providing resources, information and avenues of communication for industry professionals, vendors, & anyone committed to the Film Festival Industry. IFFS is committed to the idea that Film Festivals are an important cultural celebration, a powerful voice in our society, and increasingly play a vital role in connecting not only the local communities they serve, but the world globally. I will be involved a Film Festival Brainstorming Session entitled “The Future of Film Festivals 2010.” Slated to be an interactive program, the forum will focus on where the industry is headed as a whole. The session will be moderated by Anderson Jones, of E! Entertainment and include Mohit Rajhans, of FILMI-South Asian Film Festival.